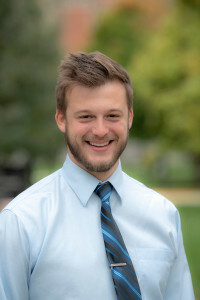 Kevin started working at DePauw in 2018. Born and raised in Memphis, TN, Kevin has worked in higher education for over 20 years, serving as an advisor, instructor and administrator. 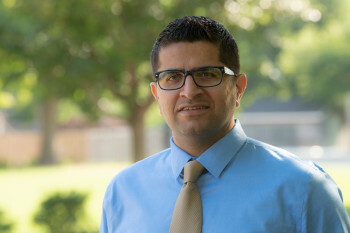 He received a Bachelor of Arts in Communications from Lyon College in Batesville, Arkansas, and a Master of Education in College Student Personnel from Azusa Pacific University (APU) in Azusa, California. Kevin recently received his Doctor of Education in Higher Education Leadership from APU, and his research examined high-achieving African American male college student success at dominantly white institutions of higher education. Kevin is a proud member of Kappa Alpha Psi Fraternity, Inc., and in his spare time, Kevin loves spending time with his daughters, cooking and baking, and nature excursions. Yug started working at DePauw in 2012 as the Area Coordinator of CLCD. Most recently, Yug worked as the Assistant Director of International Student Service before returning to CLCD in June 2017. Yug attended Calvin College in Grand Rapids, Michigan where he earned a Bachelor’s of Science in Chemistry in 2007. In 2009, Yug also received a Master’s of Education degree in College Student Affairs and Leadership from Grand Valley State University. Yug enjoys getting to know students and working with the residence hall communities. Yug has family in Michigan and India. He loves to travel to visit his family. In his spare time, Yug loves to spend time with his wife and children, play Wallyball and basketball, and watch cricket. Nicci coordinates the Housing Placement Initiatives; overseeing student housing placements and processes. Additionally, Nicci supervises administration operations, processes and procedures for Campus Living and Community Development. Nicci holds an AAS in Computer Science and is continuing her courses at Indiana University in the School of Business. 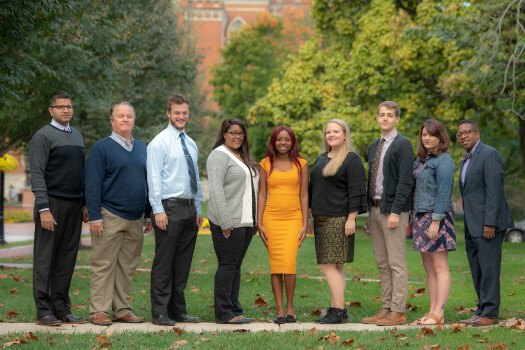 Dean is new to DePauw as of August 2018. 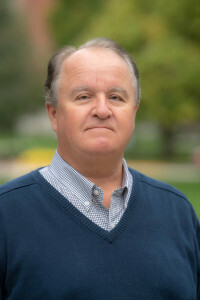 He has a long history of working with fraternities and sororities at Eastern Illinois University, The George Washington University, and Bowling Green State University. He has also worked in Residence Life at the University of Wisconsin-Platteville and the University of South Carolina. 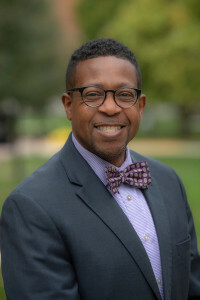 Dean has a Master's of Education degree in Student Personnel Services from the University of South Carolina, and completed doctoral coursework in Higher Education Administration at Bowling Green. He is a member of Tau Kappa Epsilon Fraternity, where he joined the chapter at Tri-State University (now Trine University) as an undergraduate. At Tri-State, he earned his B.S. degree in Computer Science. 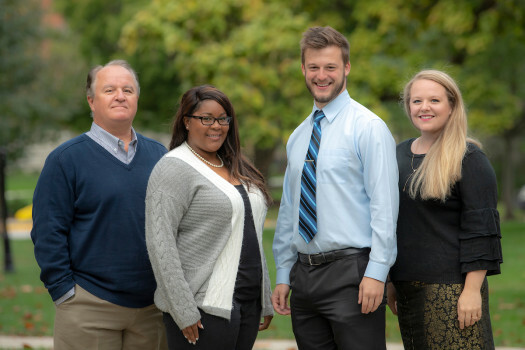 The Director of Fraternity & Sorority Life position at DePauw is engaged in all aspects of the fraternity/sorority experience, and provides supervision for the FSL Coordinators. Destiny started working at DePauw in the Summer of 2017. She was born and raised in Atlanta, GA, and she attended undergrad at Columbus State University in Columbus, GA. There, she received her B.F.A. and became a member of Phi Mu Fraternity. She then attended Graduate School at Southeast Missouri State University receiving a M.A. in Higher Education Administration. During her graduate schooling, she completed a NODA Internship at Georgia Tech working in New Student and Sophomore Programs. 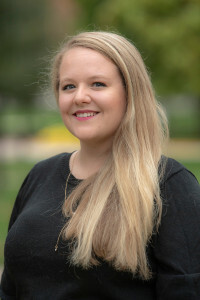 At DePauw, she will be primarily advising Fraternity and Sorority Life Organizations, working with the Panhellenic community, and supporting Order of Omega, an organization that recognizes high standards and excellence within the Fraternity and Sorority community. Xeno started working at DePauw in the summer of 2017. He was born in Greencastle, but grew up in Beloit, Wisconsin. Xeno earned his bachelor's degree in Music from DePauw University. 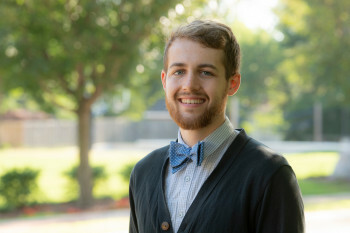 Following graduation, he taught English in Macedonia through the Fulbright program.. At DePauw, Xeno was a First-Year Resident Assistant, Community Resource Assistant, and a summer CRA. He will supervise First-Year RAs in Hogate, Lucy, and Longden Halls. In his free time, Xeno enjoys reading, running, cycling, and trying interesting foods - he hopes to take part in the Little 5 alumni race this spring. 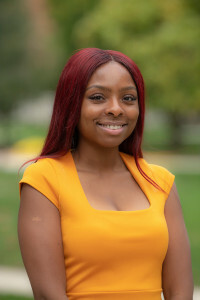 Sade' began working at DePauw in the Summer of 2018. Born and raised in Indianapolis, IN, she attended Indiana University Bloomington and received a B.A. in Criminal Justice. She furthered her education at Indiana State University, receiving a Master of Science degree in Student Affairs and Higher Education. She is also a proud member of Delta Sigma Theta Sorority, Incorporated, by way of the Indianapolis Alumnae Chapter. At DePauw, Sade' will be supervising First-Year RA's in Humbert, Lucy, and Bishop Roberts Halls. Sade' enjoys spending time with her family and friends, reading, watching YouTube videos and writing. She loves to laugh, make others laugh and find the silver lining in all situations. 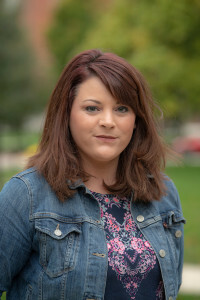 Danielle began working at DePauw University in August 2018. She was born and raised in Baton Rouge, LA. She is a double alumna of Louisiana State University having received her Bachelor's of Science in Management with a French minor in 2012 and a Master of Art in Higher Education Administration in 2018. 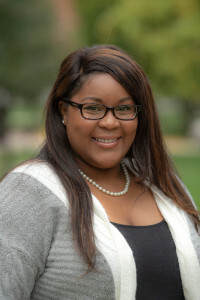 During her undergraduate years, Danielle joined Sigma Lambda Gamma National Sorority Incorporated, which sparked her interest in Student Affairs. Danielle works with the National Pan-Hellenic Council and Multicultural Greek Council. Danielle is a huge fan of the LSU Tigers, New Orleans Saints, and Dallas Mavericks, and she's proud to bring some Cajun flair to the Mid-West! Evan began working at DePauw University in August 2018, specifically working with Interfraternity Council and chapters. Originally from Mooresville, IN, he completed his undergraduate degree in Public Relations, at Franklin College. 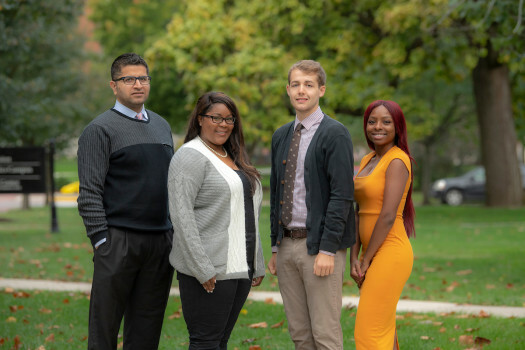 After his undergraduate career, he built his professional work experience and pursued a graduate degree in Educational Psychology from Purdue University Global. During his collegiate career, Evan served in many different positions throughout Franklin’s campus, including multiple positions within my own chapter. Some of those positions included Chapter Vice President, New Member Educator, and Recruitment Chairman. Evan also served on IFC as the Vice President of Recruitment. Through his professional career, he advised multiple students on how to tackle education and life responsibilities simultaneously. Donna joined Campus Living and Community Development at the start of the fall 2014 semester after previously working in Financial Aid and Facilities Management. Donna grew up in Terre Haute, Indiana and attended Indiana State University. She has been married to her husband Tim for 32 years and they have two daughters, Jessie and Kady. Donna serves as support for all the staff in Campus Living and Community Development.